Your gauchos exercise their abilities at the dice rodeo. The better they do during training, the easier they catch cattle in the field. Be smart and get in your opponents' way with mean tricks by snatching the most valuable cattle from under their noses, or swing your lasso to abduct one of their animals. At home, sort your cattle by race and assemble them in herds only to sell them later for as many Pesos as possible. 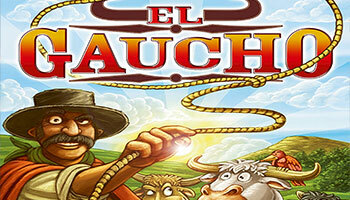 In "El Gaucho", you take the role of a cattle baron sending your gauchos to the Pampa to collect as much and as stately cattle as possible.